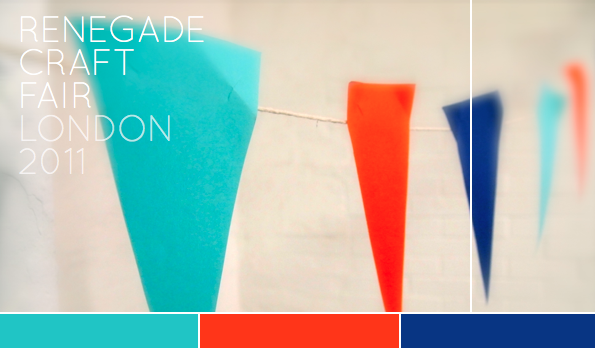 Bright.Bazaar: Renegade Craft Fair, London - My Favourites! 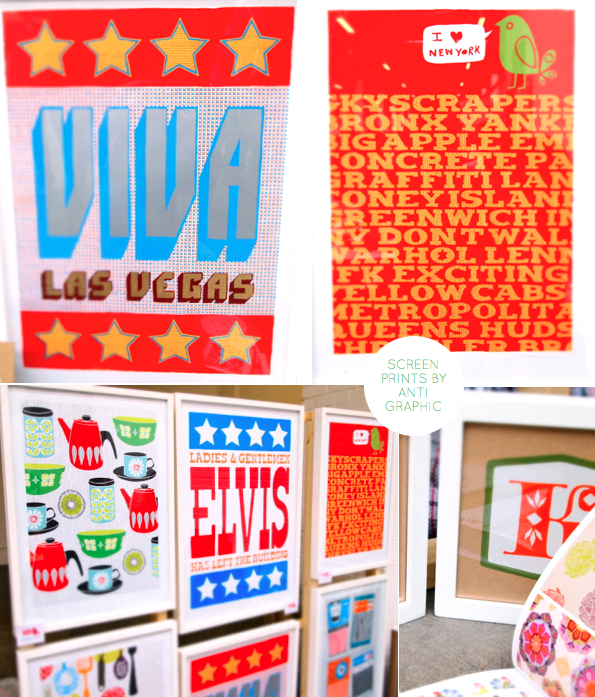 Renegade Craft Fair, London - My Favourites! 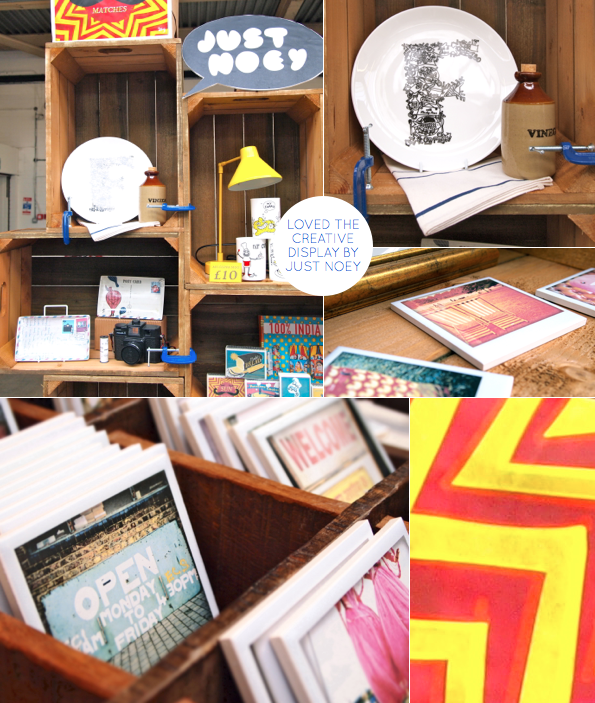 This past weekend saw the Renegade Craft Fair move into London town. Over Saturday and Sunday designers, makers and crafters took over The Truman Brewery in east London to showcase the results of their respective talents. 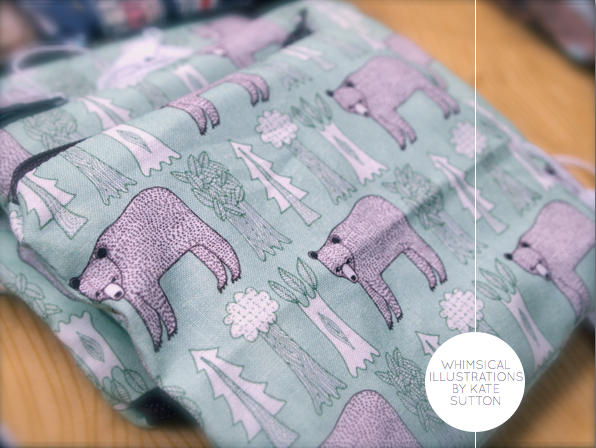 From screen prints to cushions, there was a wealth of creativity on show and I knew I just had to share my favourites from the Fair with you guys. So first up are these cute and whimsical plates from Jimbob Art - I liked the 'will perform for cakes' design best. Next I ran into my friend Parul from Just Noey, who definitely wins the best stand award from Mr. Bazaar - I loved how she used apple crates to display her bone china plates and Polaroid ceramic coasters (which feature her own analog photography). Just across the way from Parul's stand were these bold and bright screen prints by Anti Graphic; my personal favourite of Patrick's prints is the Dubble Bubble design. 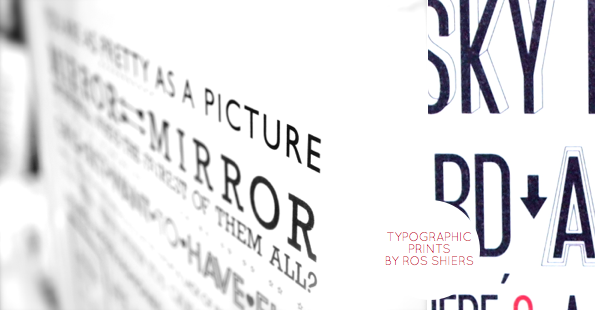 The typographic prints by Ros Shiers also caught my eye, as did Kate Sutton's whimsical and utterly charming illustrations. Then, just as I was about to leave I spotted these Ribbon cushions by Hazel Stark - my favourite pick from the Fair. Which is your favourite? Those pillows are amazing! So colourful! I'm in love with the pillows. In fact, I need them now! Great review! The screen prints by Anti Graphic were one of my favorites as well. It was a good event- I hope they keep on bringing Renegade back and it gets larger. I LOVE those Hazel Stark pillows. The mod graphics, bright poppy colors and how they are also so handmade and you can see the texture of the linen. Arhhhhh you ladies have the best taste! 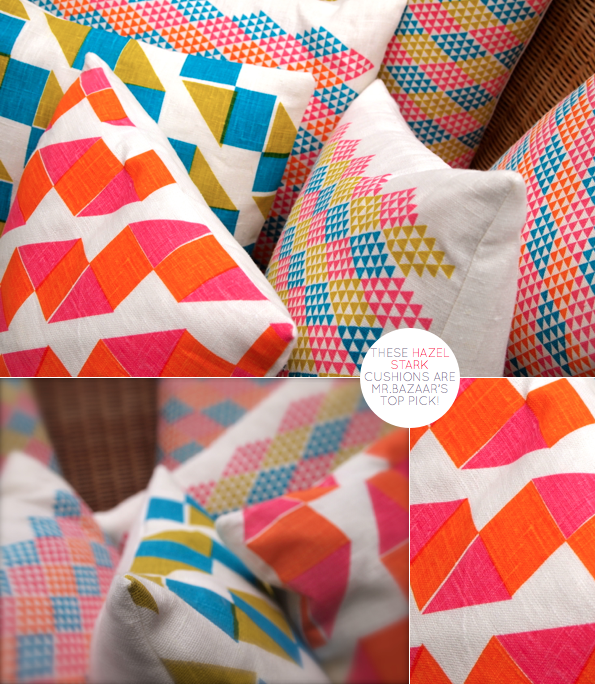 Thank you all for the cushion love, I'm really thrilled you like them. I'm working on a proper collection be available before Christmas so keep an eye out on my site www.hazelstark.com and for now grab a cushion while you can, there's only a couple left! love craft fairs, sadly our local one was not very well supported this year, the price of travel is hitting people hard getting to the Island. 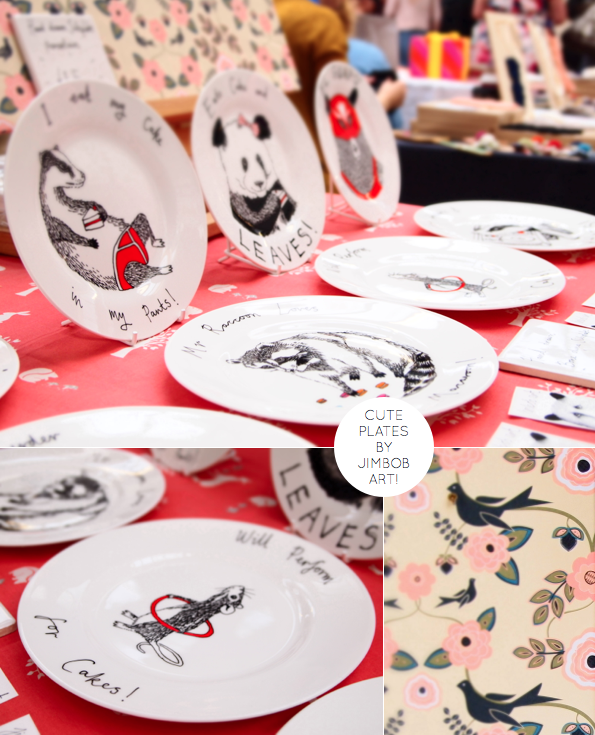 The plates from Jimbob Art have just the perfect amount of whimsy - just love them. 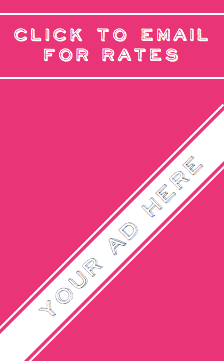 Isn't it fun to walk around a craft fair and take in all the eye candy - and there always is lots of it to see!!! I love those dishes...this fair looks like it's fabulous! Love the critter plates! Very cute! Totally the pillows. Those are wonderful! Love the anti graphic prints and those cushions + your ohotography is fab btw! So many beautiful things to love! 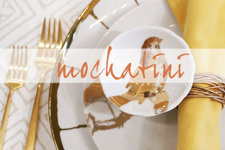 The cute plates, the pretty pillows and the prints are all awesome and right up my alley!